let me be brave in the attempt ! The right side of each Ty swing tag for the "Festival" version is signed. 1. The Courageous swing tag is signed by David Bright (President & CEO). 2. The Courageously swing tag is signed by Karen Malone (Director of Sponsorship). 3. The Courageousness swing tag is signed by Brian Duquette (Program Director). 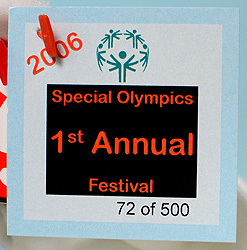 Each Special Olympics 1st Annual Festival exclusive bear has an extra swing tag with a sequential number indicating this is a limited edition of 500 bears. 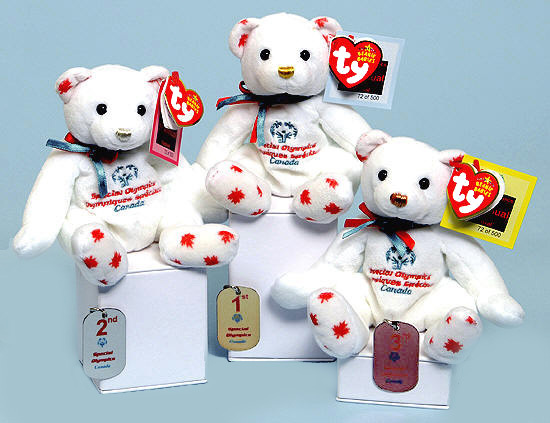 Each "Festival" bear also came with a chain and dog tag numbered 1, 2, or 3. The color of the dog tag matches the color of the bear's nose. 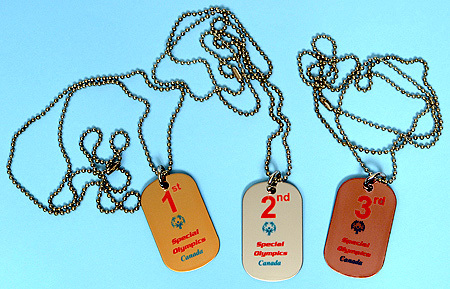 There are three different bears in each numbered Special Olympics Festival set. They all have the same style numbers. 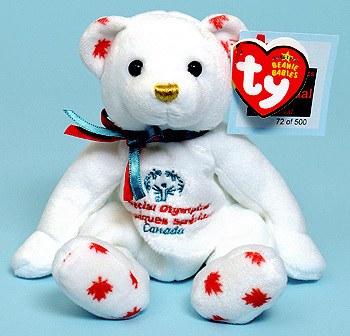 In addition to the Special Olympics "Festival" limited edition set of 500, there was also a Special Olympics limited edition set of 1000 and a Canada exclusive set.